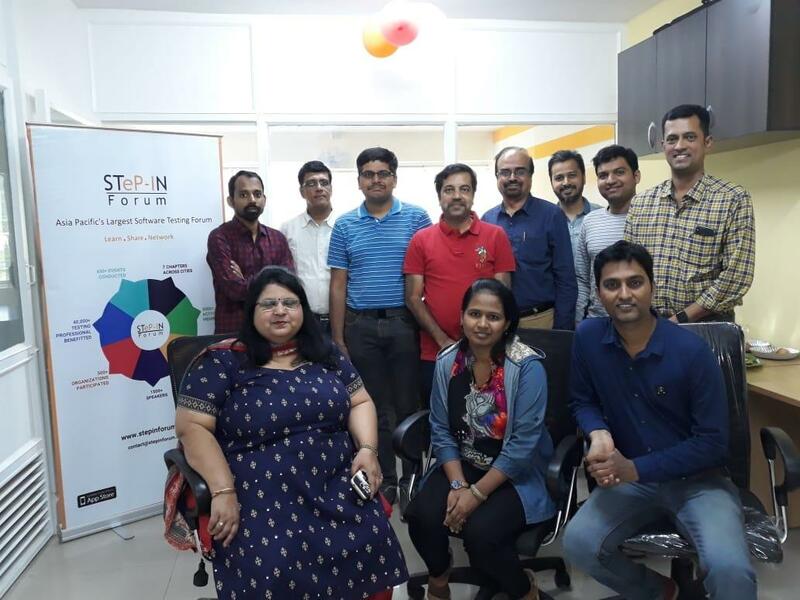 The first meetup of STeP-IN Forum was successfully conducted on 20th January at Verity Training office and was attended by 10+ testers. 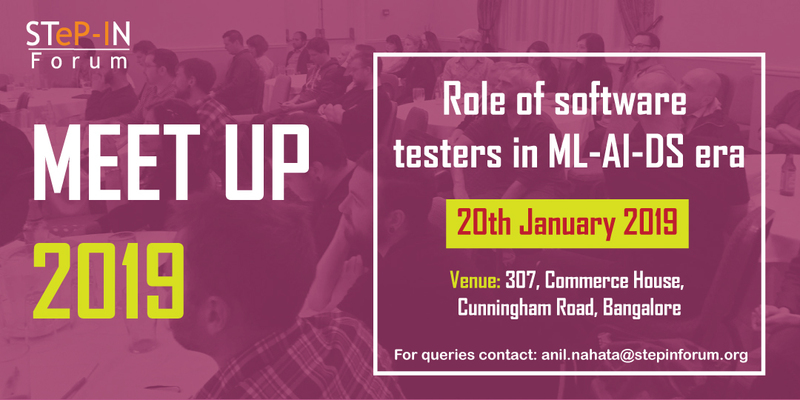 For the first meetup, we had picked the theme of testers' role in Machine Learning, Artificial Intelligence and data Science. 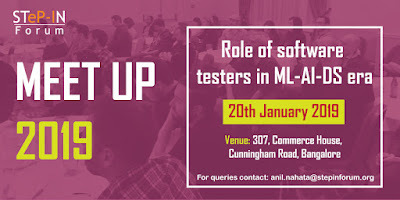 Interesting discussions revolved around the future of mundane jobs, the history of ML algorithms, what each participant felt about AI, the skills required to get started on these fields and how to apply them in software testing. We also discussed about the repercussions of these and how they have started affecting us in a negative way to some extent or the other. Is it beneficial or harmful - definitely upto how we apply them in our lives. As testers, what is our role? Continue to be critical thinkers, point out the loopholes and finally bring in the human/social impact in all our decisions. Machines and algorithms will amplify what is fed. What needs to be fed should be a humane decision. We did not realise how time flew and we were at the end of the meetup and we wrapped it up with a photograph and exchanging contact details. A happy meetup for sure! 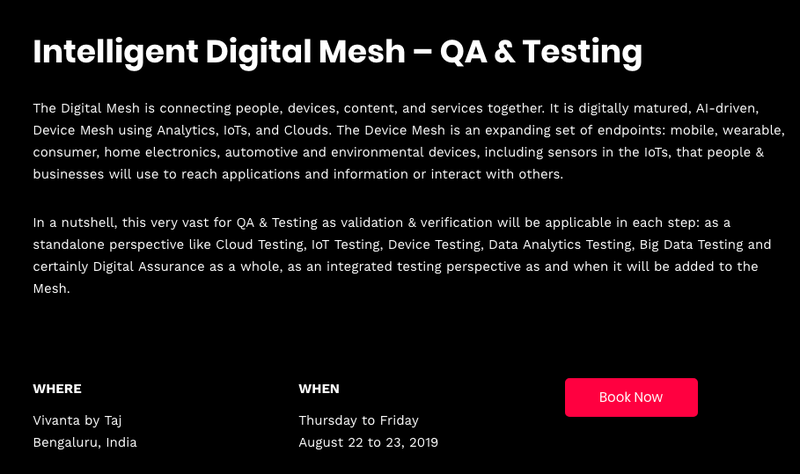 Looking forward to the next month's meetup with a similar interesting topic and more participants. 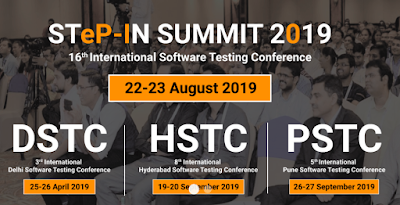 And it is that time for year when you can put on your thinking caps and submit your thoughts for the most awaited conference in India running across cities - the STePINSUMMIT and the city specific conferences - DSTC (Delhi), HSTC (Hyderabad) and PSTC (Pune). The call for speakers is open and early bird tickets are available as well. 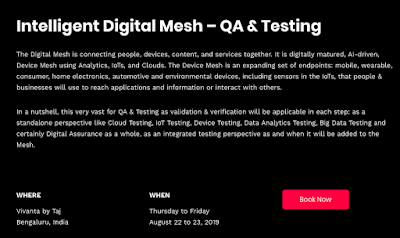 The two days would be worth it considering the diversity and expertise of the speakers, the audience interaction and the sponsor booths where you can learn from the companies first hand how they can solve your problems. In our day to day work, we are so close to the problems that we may not get the spark or a different perspective to solve it. Listening to the speakers from different organizations, interacting with them, making new connections, meeting friends again, participating in multiple contests would be a great experience. The value one would get out of the two days would be very high compared to the early bird costs of the two day conference. Think about it, buy the early bird tickets and immerse yourself deep in software testing over the two days. Book your calendar and let us meet there! If you have any questions, feel free to reach out to me. The last few months have been fully packed with both professional and personal work. Right from a photo shoot of my son to learning about APIs in depth to interacting with testers at Qapitol and learning to play PUBG, it has been a memorable two months. Let me give a sneak preview of the activities I am involved in for the past few months. Successful delivery of software requires the entire team, so it’s imperative that everyone choose their words carefully so they convey what they really mean, are sensitive to others’ feelings, and consider all aspects of a problem. Here are three questions to remember when communicating about your software testing projects to ensure you’re considering the power of words. Check out the article to know my thoughts on how communication plays a very important role in any project. It can make or break the project. 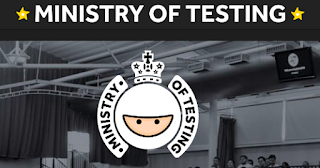 MOT announced a 30 days challenge on API testing. It piqued my interest and I started to learn from scratch on my own syllabus. I started with https://zapier.com/learn/apis/ and slowly moved to http://toolsqa.com/postman/api-testing-with-postman/. I am enjoying the journey and have plans to learn about API performance, API security (Troy Hunt's course on Pluralsight) and finally API automation using different tools. To challenge myself, I found a partner who is willing to learn and my task is to take a session every day on something I learned about APIs. By focusing on one topic - API testing, it also helps me not worry about the hundred things I want to learn. We are looking for Software Test Engineer 2-4 years in following skill sets in REST API, API Automation, Core Java / Python, Web and Mobile Automation (Android & iOS ). We are growing and would love to work with smart folks in the industry. One can expect an environment of learning, freedom and an opportunity to work on the challenges in the testing industry. I got a phone with 128GB compared to the 16GB I had before. So, I started installing all the apps I wanted to and PUBG also found its way. I couldn't help realize the similarities between a test strategy and a winning strategy at PUBG. 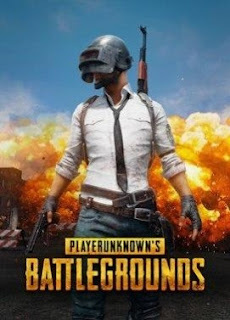 PUBG: A total of 100 players are in the same game. Testing: There are so many quality criteria to focus on. PUBG: The playing area is continuously shrinking. Testing: The risks of time and money running out. PUBG: Use the compass to gauge the direction. Testing: Use the right tools to get the best in testing. MLDS Day conducted by Agile Testing AllianceI attended the MLDS day conducted by Anand Vyas and organized by Agile Testing Alliance. It started with the difference between Artificial Intelligence, Machine Learning and Deep Learning and how Data Science plays a role in everything. In the session, I used Evernote and made notes for two hours before I realised that I have lost more than half of my notes. I got back to pen and paper. 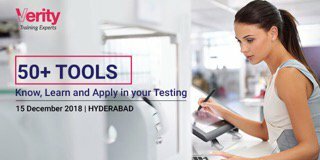 Organized by Verity Software, I am conducting a full day workshop at Hyderabad on different tools. Let us learn more and in depth in Dec and finish the year on a high!